So the lyrical concept was thinking about the juxtaposition between one person in a relationship who’s always ready to go on that adventure, and they’re going to stick their hand in that hole and figure out what’s in there and ask questions later. And the other person’s kind of like, “Hey maybe we should think about this.” And with all of my songs and my lyrics, I try to make them a little bit generic, so the listener can take it and get their own interpretation out of it so they’re not being hit over the head with what it’s supposed to be. So when did you write this one? Was it a recent effort? I wrote that one in 2011 actually. I put together a collection of 12 tunes and ended up putting a CD together, which is the first thing I’ve done in quite a while. I’m 43, I used to play music in local bands around here in the Tristate area in my 20s. I was doing that full time. And then my first daughter was born, and so I decided to buckle down and do something else for a while. But they’re both older now, so I’m back into writing and that was the first thing I did after quite a long hiatus, was put together the CD that had “Riptide” on it. I think I definitely enjoy rock the most. Guitar-based rock. But I love all kinds of music. And I do play a lot of different instruments and I do love to explore different genres. And I love learning new instruments and styles and things like that. Everything from trying to pick up some Dr. John stuff on piano, to mandolin, to looking at some Chet Atkins-style stuff on guitar. So it’s kind of a wide range of things that I like. So what is it that inspires you to write? Are there things you look to, to get your muse jogging? A lot of times, just because I’m not doing full time, what will happen is that I’m doing this stuff at night, because I feel like I get inspired and creative after everyone else goes to bed. And what happens usually for me is that I’ll get inspired by some other music I happen to hear if I see somebody play live or if I catch something on the radio that I haven’t heard before. A lot of times it’s just a phrase that I catch somebody saying if I’m out and about or doing something in the day, and I hear somebody mention something. I love to take a phrase and build an idea around that and then hopefully twist it a little bit so it’s interpreted in a way that’s not something you always think about with that phrase. And that’s how I’ll start out; I’ll start with a phrase or hook and build from there. Are there any new artists that you’ve discovered lately that you’re really into? You know, it’s funny. If you’re talking about lyrics I tend to like people who are a little bit clever. And I think everybody in the world says this, but I think John Mayer – he’s somebody that’s got the craft down pretty well. And Jason Mraz, Sara Bareilles, kind of the same thing. Lately I’ve been listening to a little more country music too. There’s a lot of good craft there as well. So what is the music scene like in Newark, Delaware now? Do you go see live music a lot? Are you trying to play out again? I am. The scene is tough here in this particular corridor along the Northeast. There’s not much appetite for original music. In the local bars and venues around here there’s a huge cover band scene, and people actually make a decent living playing covers. When I played 20 years ago I was in a cover band. And we’d sneak in originals whenever we could. So now, I actually have a trio that I’ve been working with for the past year and a half, since I completed my CD, which was done pretty much solo in my home studio. After that I decided I wanted to play with a real band and maybe considering playing out again. So I’ve been playing some acoustic shows and a couple of other full band shows. 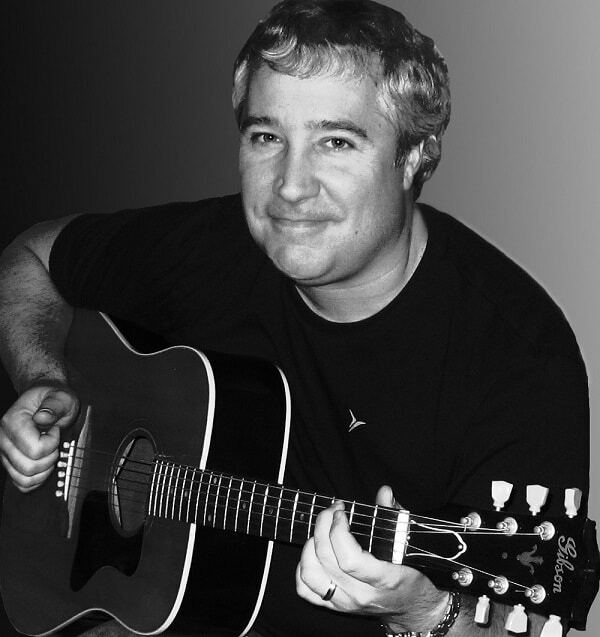 Click here to see Dave’s Songspace Profile.